An email that stopped my heart. Those of you who have known me for a long time will understand that an email from Betty Brown would certainly give me pause. And even though I knew it could not be from ‘her’ I still saw it as a sign. Betty was my older sister. Brown was my maiden name. My sister was killed in a car accident over 30 years ago. She never knew what a computer was or sent an email. She was the better part of me-the better sister. When we were growing up we would go spend summer vacations at the ranch in Granby, Colorado. It was a working and guest ranch-still is, after all these years. First, we were just another family that came to ride and enjoy the mountains. Later, my dad managed the ranch awhile. It is funny how things you learn, respect and enjoy as a kid, stay with you. The owner of the ranch had cattle dogs of course, but she also had beautiful, intelligent standard poodles. 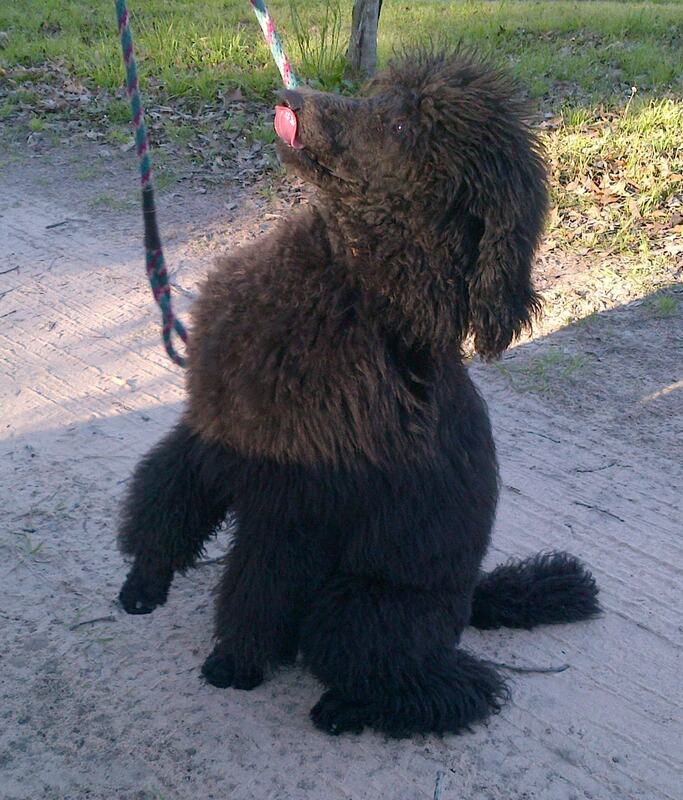 Before you scoff at the poodle, know it is not French at all, but bred to be a water retriever dog from Germany. It is a working dog-I am not talking about the little toy dogs, but the 60 pound, non-shedding, rough and tumble standard poodles. On the list of the top five most intelligent breeds, the Poodle always finds a spot. I have wanted to have one all my life. I am nearing my 56th birthday. I have a menagerie of dogs, cats and horses. Kid is my elderly quarter horse but not since I owned Wally my Doberman, have I had a dog that is mine. If I get a dog now, I will have it until I am 70 (Lord willing-about the dog and I). I thought I would just check around and see what the market was for standard poodles. You know, just to see. Yeah. So, I looked up Houston area breeders. I really did not want a little puppy. An older dog was great for me. I found a breeder called Donnchada Poodles. I sent them an email. 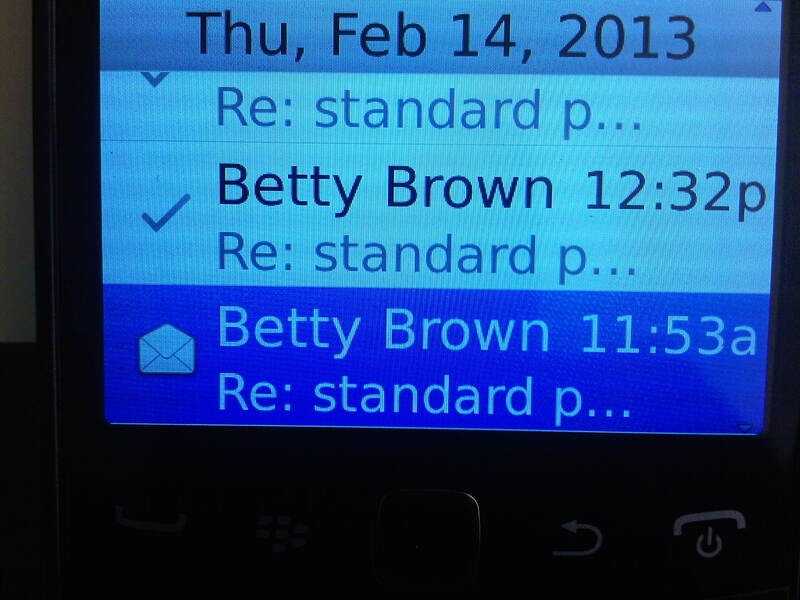 Then I got the email shown above from Betty Brown. She was the the breeder and just coincidentally named the same as my sister. There was very little that could have stopped me from proceeding at this point. I mean, this just had to be proof that I had to have one of her dogs! Although, I couldn’t really think of anyone who would concede that this was a good idea. They would say I already had too many dogs, cats and horses. So, what is one more? Then they would say, you can get one later when your dog population dwindles some. I would say the time is now. It is time to do something just for me. Actually, when I started asking my friends if I was nuts, most were very kind. I had texted Amber that I was going to do something that no one would think was a good idea but I was going to do it anyway and wanted to discuss it with her. She thought I was cleaning out my 401K and moving to an island so the whole get a dog thing came as kind of a relief. I went to see the poodles last week on Valentine’s Day. I looked at two males, one white and nine months old and one black and six months old. I just felt the six month old would ease into my home better (and stay cleaner!). I called to Lauren on the long drive home. She was not nice about it. But I feel she has warmed to the idea and knows there are times when you best go along with mom. This is one of them. I am calling him Kona-as in Kona Coffee, as in Kona black sand beaches. I will make him my horse show dog and companion. I am truly thrilled to have this boy sitting next to me right now. My sister would have approved. I know, it is my kind of crazy! Kona-before his hair cut. Don’t worry there will be lots of pictures. This entry was posted in The dogs who reside at Six Meadow Farm by Exechorseluver. Bookmark the permalink. I fell in love with standard poodles when I bathed for a groomer one summer. They are so much fun! He has such a cool personality!